With 28 years of building information modeling (BIM/CAD) and pre-manufacturing experience both designing with and developing add-in functionality for Autodesk software, the AutomateCADTM team can transform your business workflow today. The following stories are but a few examples where I have applied these techniques to accelerate project delivery, improve document accuracy and greatly improve my client’s competitive edge. 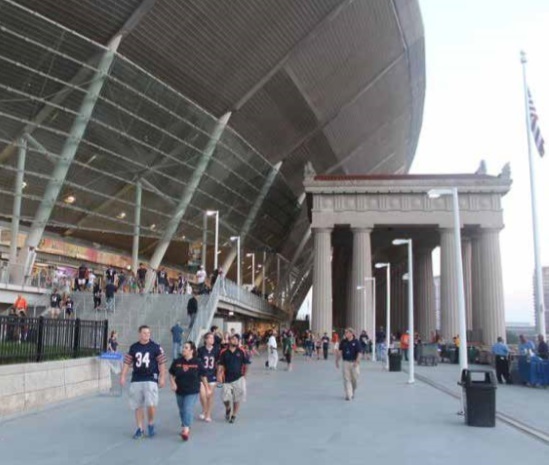 In 2003, Cordeck was contracted to supply the steel decking for the renovation and expansion of Soldier Field in Chicago. The contract was awarded late in the schedule, for cost reasons and the contract included liquidated damages for delay of project (can’t miss game day!) 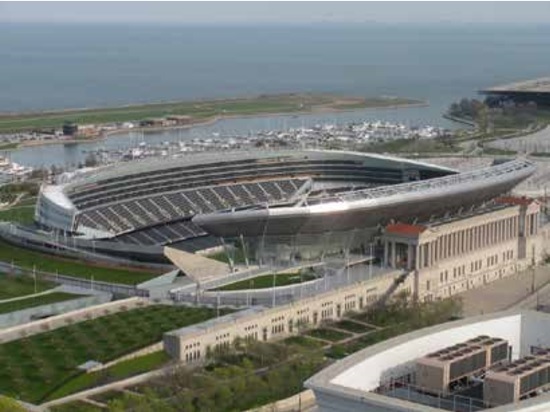 The scope called for approximately 400,000 sf of deck and several miles of curved pour stop. The structure is not rectangular. It had a XSteel designed frame and an AutoCAD defined slab edge. It was primarily 3” composite 20 Gage G60 deck, some various roof decks. The design drawings we received were substantially incomplete, with almost no dimensions supplied. I called a meeting of the entire design group. I made them aware of the deficiencies of the paper drawings, but told them … “If they would make the CAD files construction documents we could make the schedule” The meeting, the GC agreed to make the CAD files construction documents (First time that has ever happened to my knowledge) That was a Tuesday. We were awarded the contract on Friday. I spent the weekend detailing about 60% of the deck for the job. Only two bays in the structure are actually rectangles. I immediately applied the customized decking software I developed that handles irregular shaped bays. We submitted the drawings for approval Monday. Received the approvals back on Thursday afternoon. We corrected them by Friday. We then used my own automatic bundling, sequencing and material list software to generate cutlists and bundle placement plans for the project. Friday the cut list was submitted to Wheeling Corrugating (the deck supplier). They manufactured the first delivery of material in Gary Indiana on Saturday. On Monday 10 trucks arrived at the jobsite for installation. This was 9 days after project award. Pour stops were faceted curves were detailed using automated software and pre-manufactured at the Cordeck Facility in Kenosha. The program will detail a sheet metal bulkhead in 1/100th the time of drawing them manually. All the flashing elements were sequenced and made in the order of delivery. 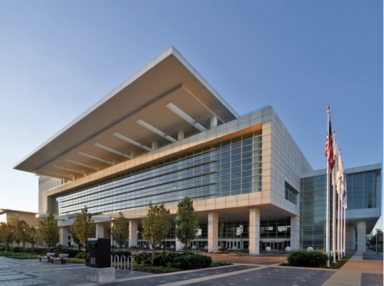 In 2007, McCormick Place West convention center required 2.3 million square feet of new steel decking with 80,000 lineal feet of sheet metal pour stops. I developed software capable to handle a project this large. Working from structural layout design Autocad drawings provided by Clark construction, the building was divided into a North and South drawings. The stud take-offs for estimation was performed on those AutoCAD files using a program I developed. It counted the 490,000 shear connectors (studs) in 6 minutes, which would have taken an estimator a month to count by hand. The revisions had several volume of changes, and those changes were regularly updated throughout the entire project. All changes were picked up for last minute manufacturing of deck and flashings. No pour stops or deck (out of 16 miles) were removed during construction due to last minute fabrication. Last minute fabrication is possible due to the speed at which the specialized software tools provided (10x) Area/ lineal quantity of decking and edge-of-slab pour stops, timeframe/ speed of delivery & installation. 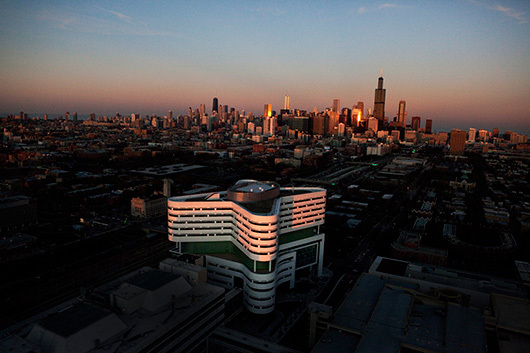 Completed in 2009, the building looks like a butterfly in plan with every floor being different. The decking software was created to work with irregular shapes. The pour stop and curtainwall embeds at the perimeter were required to be installed at a 1” tolerance. A major innovation for this project was the custom software created to pre-manufacture the pour stops with the embeds already installed. The software had the ability to generate data files in a non-native format for a robotic total station to preform the layout. Conversely, another new piece of custom software was able to read as-built data from the total station to verify every embed, 5000, in all. The value of installing one embed was about $100 but the cost of repairing them was about $5000 a point. We were able to locate them ALL within tolerance, per our contract.